Store equipment securely to prevent damage and theft as many items are expensive to repair or replace. Securing equipment and machinery in a dry structure with a solid floor; a wide opening door is an advantage. The structure is ideally positioned near the boundary to reduce movement to a minimum. 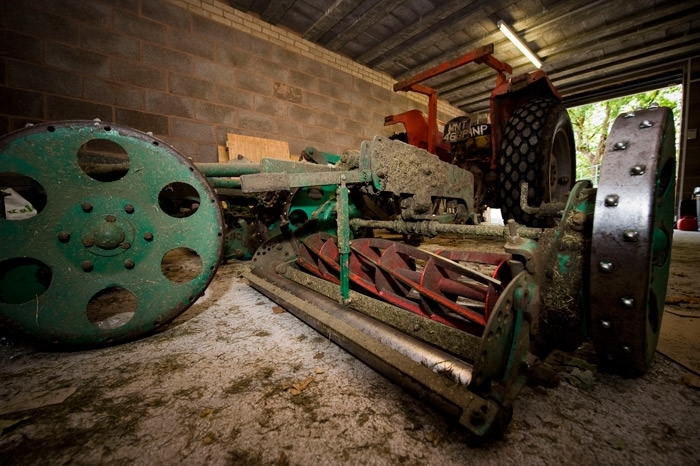 Equipment will deteriorate quickly if left out in the open as well as increasing the risk of theft. Wall brackets for securing some machinery above ground level. Effective security measures for locking your storage facility. Some form of lighting or security will reduce the risk of crime as often cricket grounds are in country areas which are not overlooked.